Two hands in prayer could represent the job of a physician, working in the third world. One hand represents the challenges the job entails while the other hand represents the rewards the work brings. Together the hands are the silent prayer that such a doctor may recite while working in areas where conflict, disaster, poverty and few first world resources are part of the job. Many physicians and nurses in Vernon, British Columbia, Canada do such work and it is on a volunteer basis. They do this because they can. Recently I visited Dr. HS my friend, colleague and former emergency physician at Vernon Jubilee Hospital. 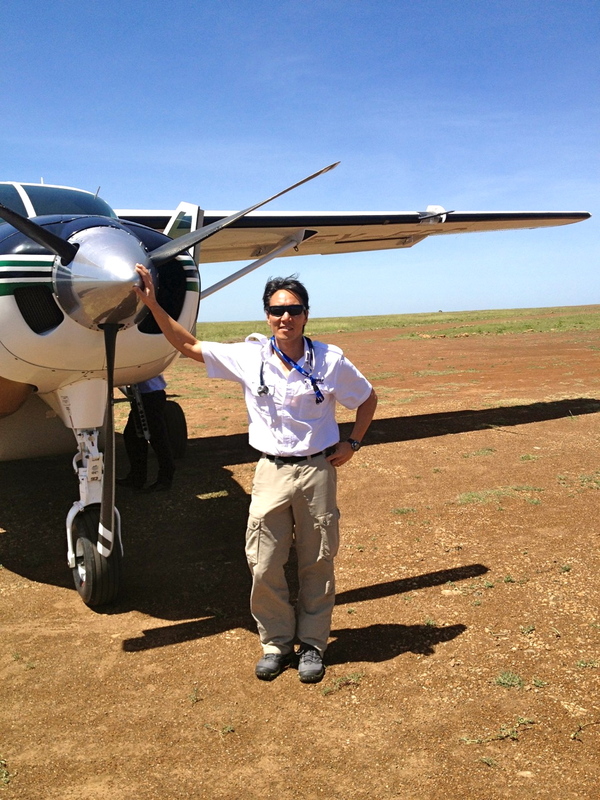 He had recently completed a month in Africa as an AMREF flying doctor. AMREF, based in Nairobi, Kenya provides pro bono air evacuation in medical emergencies to people in many African countries. The service is provided 365 days per year. 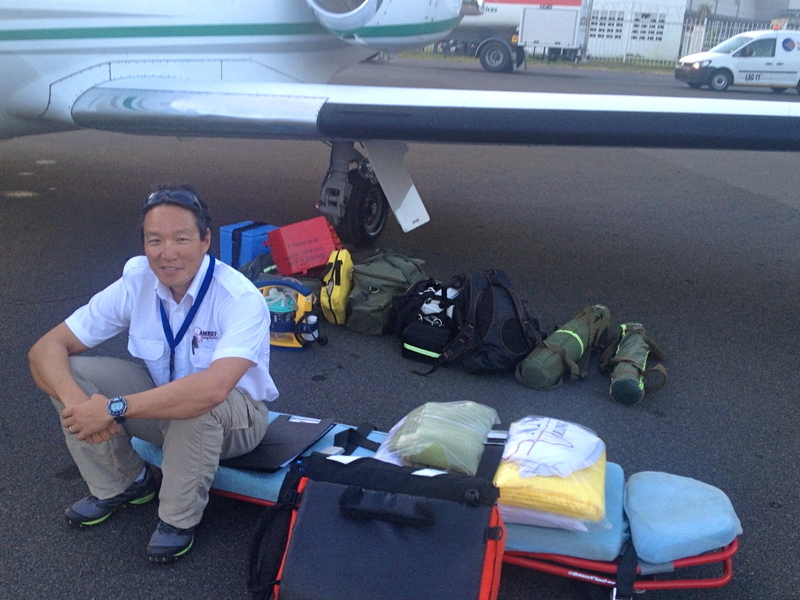 Flying doctors volunteer for a month of service and provide 24 hours of availability during that time. Other than being 15 lbs. lighter and sleep deprived, HS was in good health, if somewhat subdued in spirit. I could tell from his face that he was a different person than the one who had left a month earlier. HS arrived in Nairobi on New Year’s Eve and within hours was taken to the airport for his first patient transport. He had enough time to introduce himself to the nursing staff and review the medical equipment on board the plane before being whisked to Tanzania to stabilize and transport a tourist who had broken her pelvis falling out of a land rover. Hours later in his Nairobi accommodation, he was again called to fly back to Tanzania to stabilize and transport a politician who had suffered a cerebral hemorrhage. Each trip comprises many hours and as tired, stressed and hungry as he was, after midnight he was back to the airport on his way to Somalia. It was only later that he was informed that the area was a hot bed for al- Shebaab, the Somali based cell of the militant Islamist group al-Qaeda. Sadly, a large majority of the trauma HS had to treat and transport was the result of motor vehicle accidents. Dangerous roads with few rules, no seat belts, crowded vehicles, and remote locations create the perfect conditions for vehicle disasters. HS recalled one such case involving a family of ten individuals. After hours in the air to reach them and hours in a land rover to get to the village, he found himself on site after dark. One child had died, seven family members had head injuries and many had internal injuries, lacerations and broken bones. Treating the injured was carried out in the dark dirty corridors of a makeshift hospital, surrounded by most of the village; all of Africa’s mosquitoes ‘and little help beyond several excellent transport nurses. With failing weather, the surviving patients needed to be quickly stabilized before the window of opportunity to fly back to Nairobi passed. Individuals were stacked like cord wood in the belly of the plane only to have one child die before takeoff. As a result injured patients needed to be removed and repositioned complete with intravenous lines, ventilators and monitoring equipment so that the little one could be given to the remaining family for burial. During the long trip back, another family member was lost. 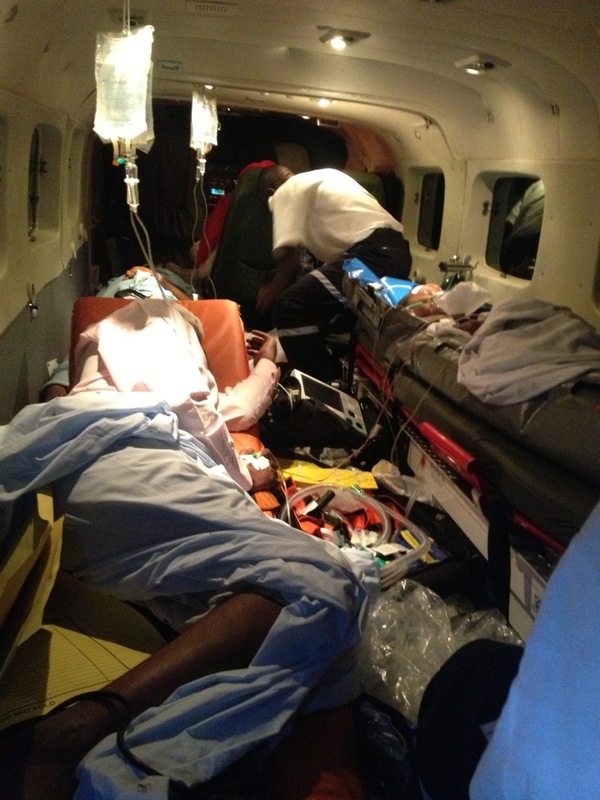 Many hours later, HS delivered the surviving patients to the Nairobi hospital. Visiting 2 days later, he was shocked to see several of his patients still sitting in the hospital corridor where he had left them several days before. In Africa, with limited resources, life, by necessity, is cheap. Our Canadian physicians do excellent work in many poor countries. They are well trained and like HS are generous with their time and skills. All volunteer organizations, and AMREF is no exception, need cash. The organization helps Africans on a volunteer basis but also, for a minimal fee, provides excellent medical insurance for tourists. Recently when travelling in Africa I felt confident knowing that if I got into trouble, HS would be flying in to pick me up. That is what I call service. This entry was posted in Uncategorized and tagged Africa, emergency services, flying doctors, third world medicine, volunteer doctors by April Sanders. Bookmark the permalink. Thank you for sharing and allowing me to pass this on to others.